Red Velvet, one of Austin’s largest event production companies, invited us to transform a portion of their large industrial office space where employees, partners, and friends often gather. With no rules, and complete freedom to do what we want, we strolled through our 10,000 sqft warehouse on a rainy afternoon. The rain drops hitting the roof created a beat that gave us the inspiration we were looking for. And it was super(califragilisticexpialidocious). Our CEO, Michelle, and VP Creative Director, Annié, are the minds behind the design. With so many options to transform the space, we needed a focus. That focus became none other than the classic musical masterpiece, Mary Poppins! Michelle - What inspired you? Why Mary Poppins? Having grown up loving the Mary Poppins series and having equally falling in with the newly released sequel my creativity was sparked by the idea of combining beautifully classic elements with style, function, and seasonal design trend. Annié - What element of the activation were you able to put your most creative spin? Honestly, the creativity came in inspiring the team. Michelle played the soundtrack as we were pulling the furniture and due to the infectious energy, it felt as if the pieces chose themselves. We were all on a high. But, if I had to choose one physical element, it would be the umbrella photo op. It’s such an iconic scene! Michelle - We know Red Velvet as one of the leading global event production agencies. What’s your history with Red Velvet? 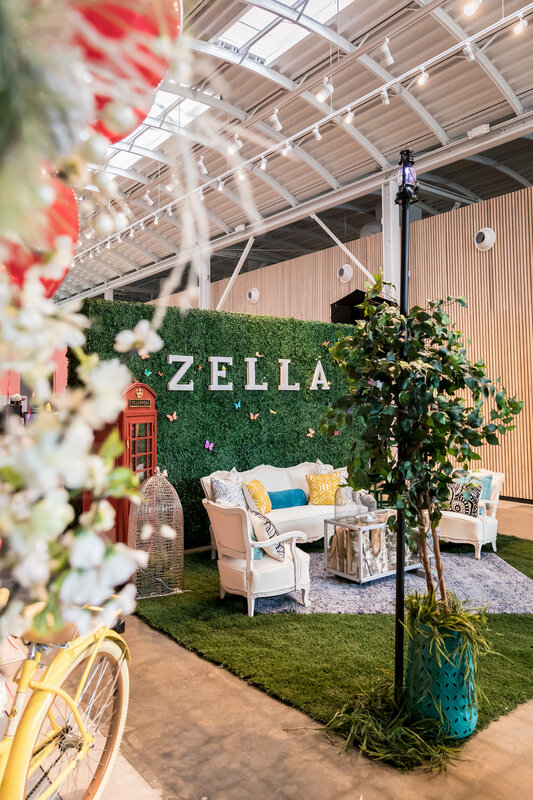 There were several vendors they could’ve chosen, why was Zella the best choice? The founder of Red Velvet, Cindy Lo, has always been so gracious in inviting partners to showcase their expertise as an extension of her brand. 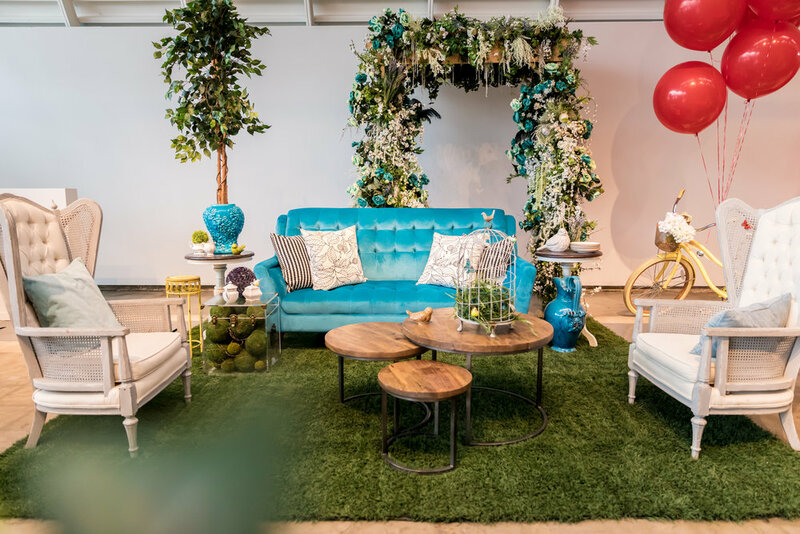 This opportunity is unique - not only do we get to create an environment that is fun and whimsical but this time being part of the Red Velvet partner showcase series we’re fortunate enough to do so in a way that maximizes their space playfully and invitingly. Annié - The overall aesthetic was perfectly executed. Is there anything you would've done differently? I would’ve loved to have incorporated augmented reality. AR and virtual reality are technologies that Zella is really tapped into. We’re looking forward to sharing these exciting experiences with our clients and their audiences.